GeftiNat (Iressa or Gefitinib) is a cancer chemotherapy medication. 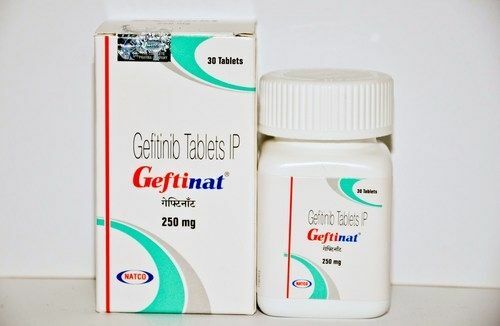 GeftiNat (Iressa or Gefitinib) interferes with the growth of cancer cells and slows their growth and spread in the body. Gefitinib is used in the treatment of non-small cell lung cancer. Iressa tablets contain 250 mg of gefitinib and are available as brown film-coated tablets for daily oral administration.